Skylights are commonly used on a variety of commercial and industrial buildings as a daylight solution – increasing the amount of natural light into the space below, in turn reducing the building’s amount of energy consumption. Heightsafe’s Skylight Covers are designed to protect the skylights beneath it, from falling objects such as tools and debris, but also to protect any personnel from fall risks, and from stepping on fragile surfaces. 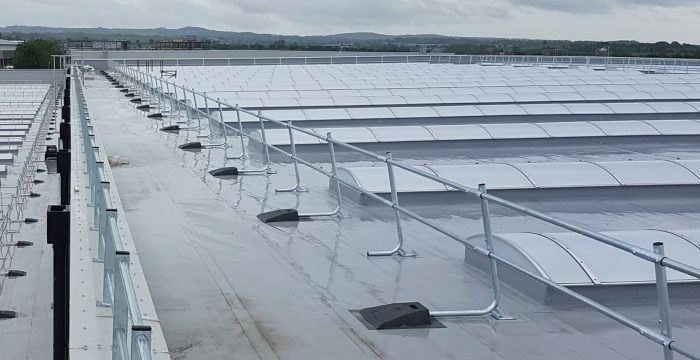 Powder coating to any RAL colour is also available, providing personnel with maximum visibility of Skylight Fall Protection, and potential fall hazards. Q: How Is Skylight Fall Protection Fixed into Position? A: Galvanised steel mesh Skylight Covers are fitted with tamper-proof Tek Screws for added security, through the metal deck with a Mastic Barrier to ensure maximum weather proofing. 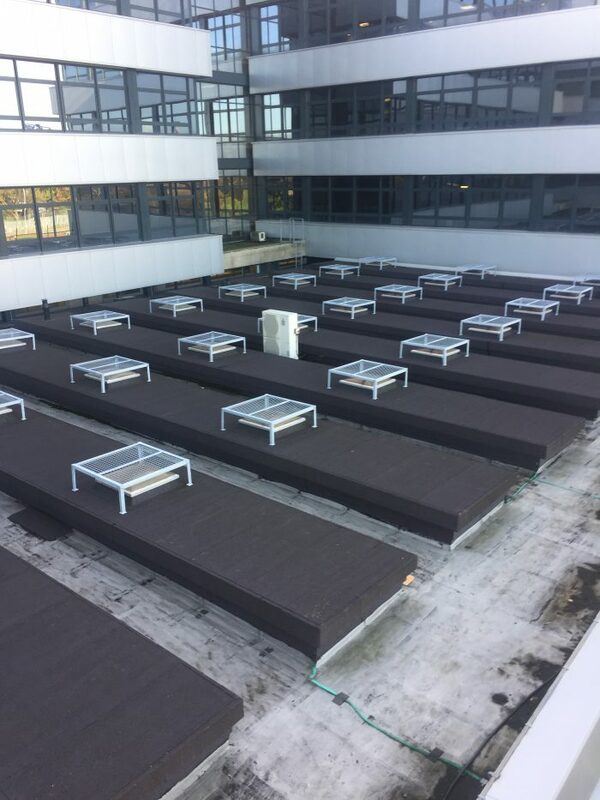 GRP framed Skylight Fall Protection systems can also be fitted directly to the deck or clamped to Standing Seam roofs, meaning penetration of the roof membrane can be avoided altogether. 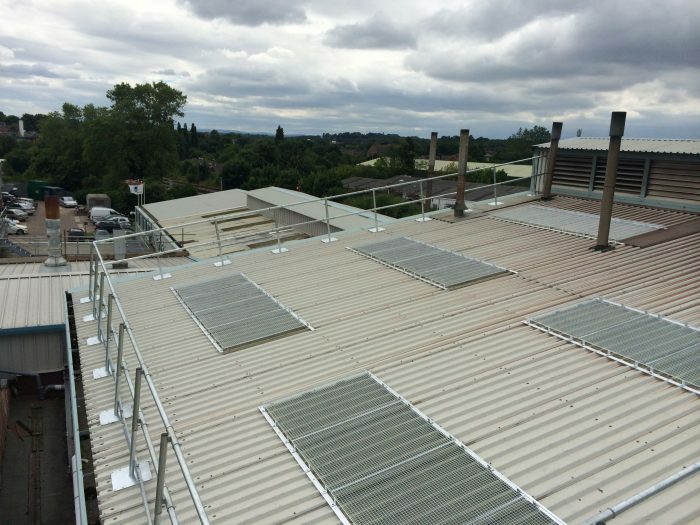 Freestanding systems are designed specifically as a non-penetrative solution for Skylight Fall Protection. However, depending on the pitch of your roof, a fixed system can be custom designed to meet your needs. Q: When Should Skylight Fall Protection Be Used? A: Skylight Covers should always be considered whenever there are daylight requirement solutions on a ‘working’ roof, particularly due to the vulnerability of materials used to produce these systems. Skylight Fall Protection is a vital part of any Work at Height access strategy, especially when working on fragile surfaces. Heightsafe’s specialists recommend incorporating Access Ladders and Roofing Walkways, as well as Roof Access Hatches to these strategies to ensure full compliance with regulations. Operating throughout the UK, Heightsafe have expert knowledge when it comes to Work at Height. Specialist teams hold all relevant and industry standard health and safety accreditations, so you have peace of mind knowing that you are in safe and trusted hands. Offering a full 360 service, wherever you are in the UK, with multi or single sites, Heightsafe are happy to help. Get in touch today.